ZHA is a firm of talented professionals and technical staff who bring a broad range of experience and expertise to the company's service offerings. Mr. Mellin has more than 40 years of experience in design, development and construction of various kinds of projects. He has served as Project executive, project manager or planner for schools, medical facilities, entertainment complexes, aviation facilities, government buildings and military bases. He has directed real estate development activities for health care facility providers across the country. Mr. Mellin is a Florida licensed real estate broker with a Bachelor of Science degree in Design from the College of Architecture at Clemson University. 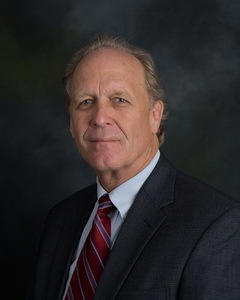 With more than 41 years of engineering, construction and management experience, Mr. Brooks has supervised all facets of large multidisciplinary, fast-paced, diverse projects, including project planning, programming, design, construction, occupancy, and contract administration. Mr. Brooks has a proven track record of successfully managing, coordinating and communicating with all members of the project teams, focusing on meeting the expectations of owners by completing projects on time, within budget and without claims. Mr. Brooks is a registered Professional Engineer and LEED AP. He holds Bachelor of Science and Master of Science degrees in Civil Engineering from the University of Florida. Mr. Brostrom has over 40 years of experience providing project planning, management, design, construction administration, and building evaluation services to various government agencies and private clients. This experience includes asset development, management and the analysis of over 500 structures considering factors such as current conditions, damage, life expectancy, energy use, ADA code requirements, and adaptability to alternate uses. His experience is based on a well-rounded background of education and training in Design, Construction and Management. He was selected to be a Peer Reviewer by the American Institute of Architects and American Consulting Engineers Council to evaluate the professional practices and procedures of their members. Mr. Brostrom earned degrees in Architecture and Construction Engineering from the Iowa State University and a Master's in Business Administration from the University of Nebraska. He is a long-standing member of the American Institute of Architects, NCARB Certified, and is a LEED AP. He holds licenses in multiple states. Mr. DeBoard has more than five decades of experience in the programming, master planning, design, management, and team coordination of complex multimillion dollar building projects. These projects range from institutional, commercial and educational to municipal and aviation. His experience includes more than 30 design-build and construction management projects incorporating a fast-track delivery system. He is ZHA's specialist on the Americans with Disabilities Act, and as such he has led the firm's compliance audit work for many major clients, including Orlando International Airport and the Orange County Convention Center. He is also the firm's lead forensic specialist for our construction litigation work. Mr. DeBoard is a registered Architect and holds NCARB certification along with certification in Seismic Zones 1, 2 & 3. He holds a degree in Architecture from the University of Florida with advanced studies in Building Design, Structures and Acoustics. Mr. Howard is experienced in all phases of architectural practice, with special emphasis on planning, design and project management. 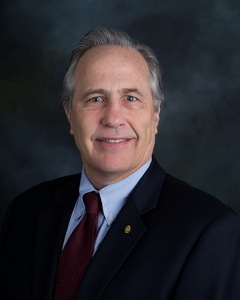 His 44 plus years of experience include a strong background in facilities programming and space planning, master planning and design for a wide variety of project types including: office/corporate; air and ground transportation; parking and vehicle maintenance; education and training; sports and recreation; healthcare and wellness; and technology and research. He has received design honor awards from the American Institute of Architects for airport and transit projects. Mr. Howard is a registered Architect with a Bachelor of Science degree in Architecture from The Ohio State University and he holds NCARB certification. Mr. Scruggs has more than 37 years of experience in landscape architecture, land planning, commercial construction, and real estate development. His experience has given him an intimate understanding of project components and the expertise to accurately plan, budget and manage projects to successful completion. Over the course of his career and in varying positions with design/build, engineering and development firms, he has successfully worked on a myriad of projects including retail/commercial, high rise offices, hospitality, health care, airports, industrial/manufacturing, and large scale residential. Mr. Scruggs is a registered Landscape Architect with a Bachelor of Landscape Architect degree from Mississippi State University. He is also a Florida licensed Real Estate Sales Associate. Mrs. Rea-McPherson has more than 23 years of project management experience in healthcare, hospitality, K12, government, and FDOT. She brings client-centered project management services to design and construction projects with a high level of detail, accountability, leadership, functionality and flexibility in diverse and evolving market sectors. She provides full service project management, planning, scope analysis, quality control, risk assessment, scheduling, fiscal projection, mentoring, and collaborative teaming approaches that exceed clients' expectations and foster positive working relationships. Mrs. Rea-McPherson holds a Bachelor of Architecture degree from the University of Miami School of Architecture. She is a licensed Florida Real Estate Sales Associate and has earned a PSMJ Project Management Certification. Mr. Doehring has more than 39 years of experience in residential, commercial and public construction with 20 years as a Florida Certified General Contractor. His most recent areas of expertise are in the disciplines of project management and inspection on public projects ranging in scope from $1.8 million to $80 million. He has provided CEI services and quality control inspection. He is a hands-on supervisor with excellent skills in site development through project completion. Mr. Doehring holds building inspector certifications from International Code Council and State of Florida for Commercial Buildings and Residential Buildings. He also holds Florida State Requirements for Educational Facilities (SREF) certification. Mr. Jordan has more than five decades of experience in the electrical engineering discipline. For over 25 years, he has served at the project management and inspection level on a diverse range of projects including airport, industrial, commercial, and domestic construction and maintenance. Mr. Jordan was educated in his field at the City and Guilds of London Institute and holds certificates for Electrical Engineering and Electrical Technician. 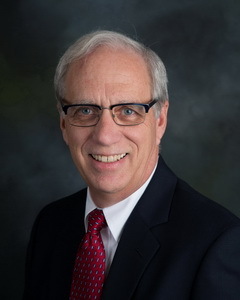 Mr. Goff has more than 42 years of experience in management for air carrier and general aviation airport projects, including extensive work on airport master plans, feasibility studies, site selections, environmental assessments and noise studies. He also has provided services to airports in a general consultant role. His experience encompasses coordination with governmental agencies, such as the FAA and the Florida Department of Transportation, on planning, design and construction projects. He has extensive knowledge of FAA procedures and requirements. Mr. Goff has a Bachelor of Science degree in Business Administration from the University of South Carolina. Ms. Roby has more than 27 years of experience in project accounting and financial operations. She is responsible for the accounting, financial and human resource functions of the firm. Ms. Roby earned a Bachelor of Science degree in Marketing Management from the College of Business at Florida State University. Ms. Roundtree has more than 26 years of experience in administrative roles. She is responsible for administering IT initiatives, providing help desk support and managing the general office. She serves as the firm's marketing coordinator and also handles the firm's government compliance, along with annual certifications, qualifications, and registrations as required by federal, state and local agencies. Ms. Roundtree is a notary public and holds a Bachelor of Fine Arts degree from DeSales University. Ms. Brooks has been with ZHA for 5 years where she works closely with the firm's architects and engineers assisting with design and construction document reviews as well as change order and pay application review and processing. She also provides support for AutoCAD work on select projects. Ms. Brooks graduated with a Master of Architecture from Southern Illinois University Carbondale and holds a Bachelor of Design in Architecture from the University of Central Florida. While studying at UCF, Ms. Brooks served as a teaching assistant in the Output Lab that supported the UCF and Valencia College architecture programs.